A bill that would provide grant funding to community colleges developing education and training programs for adult learners failed to advance from general file Jan. 22. 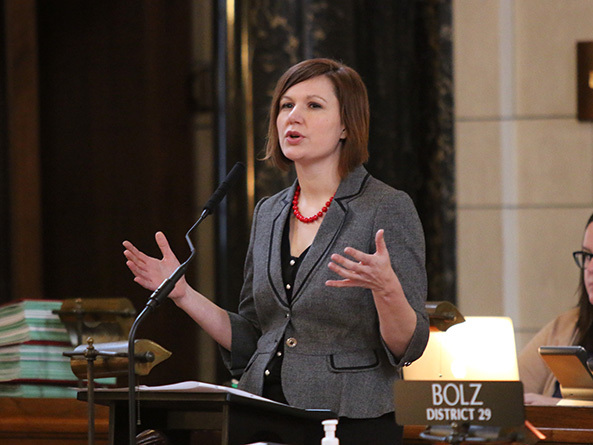 LB515, introduced by Lincoln Sen. Kate Bolz, would provide grants for up to three years to eligible community college programs. The Coordinating Commission for Postsecondary Education would provide oversight of the grant program. To be eligible, a program must demonstrate an integrated approach to helping adult learners learn the skills needed to join the workforce or adapt to new career paths. 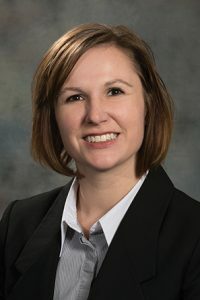 Seventy percent of the state’s projected jobs will require a secondary education by 2020, Bolz said, but only 44 percent of Nebraskans have an associate’s degree or higher. The bill is modeled on best practices from a Washington program, which has led to significant wage increases and acceptance into credit-earning programs for people who have completed the program, she said. Sen. Lou Ann Linehan of Elkhorn agreed that many in the state’s workforce would benefit from additional education, but she said that LB515 is addressing only the symptom and not the problem. She said between 25 and 70 percent of high school graduates require remedial education in math. “I understand the importance of these programs, but I don’t think we should look to community colleges or grant programs to do the remedial education our high schools should already be doing,” Linehan said. Bellevue Sen. Sue Crawford disagreed, supporting the bill as just one piece in the educational puzzle. Brainard Sen. Bruce Bostelman also opposed the measure. If community colleges cannot provide remedial education within their current framework, he said, perhaps it is time to re-evaluate where taxpayer dollars are spent. Following the 32-0 adoption of a Business and Labor Committee amendment to clarify that grants would be distributed only when such funds are appropriated by the Legislature, senators voted 21-12 on its advancement. This was four votes short of the number needed.